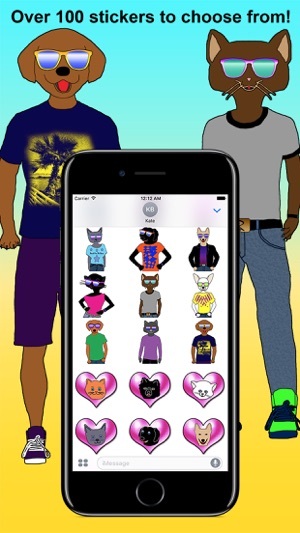 Share your love of dogs, cats, fashion, and fun with the 12 unique animal friends from Cookie ’N Crew! Over 100 stickers to choose from! 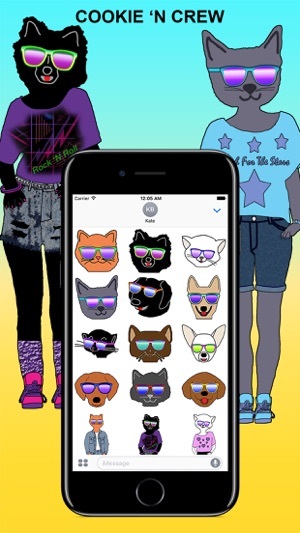 Let everyone know that dogs and cats rock, from fashionable full length poses, to fun faces, to cool sunglasses and bright colors. 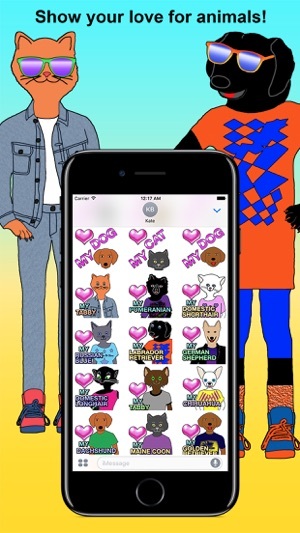 Personalize your conversation with your own breed of dogs and cats for even more fun! 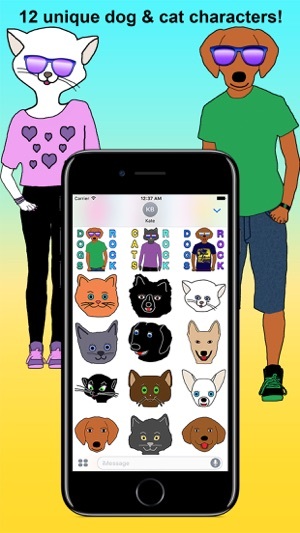 Animal lovers unite with Cookie, the fun loving Pomeranian and her “crew” of neighborhood friends Butterscotch, Crystal, Jenny, Mandy, Max, Nora, Ramsey, Roberta, Rusty, Sammy, & Topaz! 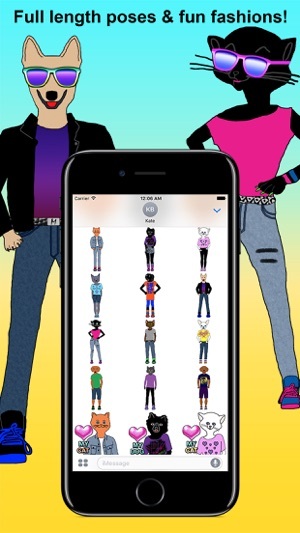 Send stickers by tapping on them or peel and stick them on photos and message bubbles in your conversation. Love the animals and outfits! Cute emojis!